The most ancient form of trade among the Mexican peoples of earlier times was the use of beads, stones, cacao beans and grains of gold as “currencies” of different shapes and seizes, and the Mayans also used copper. Since those early times we have come a long way, worldwide. Mexico’s culture is so rich and vast that, in modern times, those who had to choose what the bills would depict must have had a difficult time deciding. And while we physically pay for goods purchased, there is an inadvertent exchange of Mexico’s cultural wealth we often overlook. 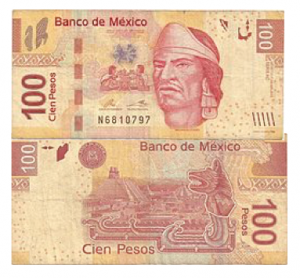 While aside from the new 500- peso bill other new bills have yet to be printed, Banco de Mexico (or Banxico, Mexico’s central bank and monetary authority) has shared what these new bills will include. will include Tenochtitlan, the capital of the Aztec empire, destroyed in 1521 by the Spaniards. This now is Mexico City. Legend has it that through a priest, god Huitzilopochtli communicated to a wandering tribe they should look for a sign of an eagle (devouring a snake) standing on a cactus. This site would become “the center of the world”, their capital : Mexico-Tenochtitlan. That sign is the iconic center of the Mexican flag. The axolotl (from the Nahuatl, “water-dog”, or walking fish) is an ancestral amphibian that lives all its life underwater and has the ability to regenerate lost body parts. This unique and very peculiar salamander is considered a critically endangered species. The maize: While Aztecs believed that it was a gift from Quetzalcóatl (Kukulkán for the Maya), in the famous book Popol Vuh of the Quiche Maya on the creation of men, told us that the gods created men’s flesh from the batter of the yellow and white corn. Maize has been the main staple for Mexicans for the preparation of tortillas (tlaxcalli in Nahuatl and waaj in Maya) and other foods. Xochimilco, “the land seeded with flowers”, UNESCO’s World Heritage Site, will also be depicted. Famous for its chinampas, or “floating gardens”, artificial islands where crops are grown and many are nurseries for Mexico’s famous poinsettias. The ecological reserve of Xochimilco is known worldwide for the rides on the traditional trajineras, pontoon-like boats adorned with colorful flowers. While riding through the canals on a trajinera, you can be entertained by mariachis and relish with typical Mexican food. Considered a collectors’ item, the second 100-peso note was printed in 2017 to commemorate 100 years of the Constitution of the United Mexican States. On the front: Venustiano Carranza, First Leader of the Constitutionalist Army and Luis Manuel Rojas, president of the Constituent Congress, standing during the formal adjournment of the session. On the back, Congress Representatives swearing to observe the Mexican Constitution. daily flight is 120 kilometers (74miles) and is considered one of the longest and largest migrations in the world. While in their sanctuary they gift us with one of the most spectacular sights nature can offer. On the back, the Panoayan Hacienda in the State of Mexico, where Sor Juana lived, and as backdrop the famous volcanoes Popocatepetl and Iztaccihuatl. Hidalgo and José María Morelos. Both insurgent priests, along with others, plotted to overthrow the Spanish rulers. On the back drawings of the Royal Eagle, an iconic symbol in the Mexican flag and of the Mexicans, and the saguaro, a large cactus endemic to the Sonoran Desert. Also from the State of Sonora an illustration of the UNESCO’s Biosphere Reserve landscape depicting the dormant volcano El Pinacate and Gran Desierto de Altar. fatally wounded by a streetcar. Before she became a painter, she studied medicine. Her colorful folkloric and popular art was greatly influenced by Rivera. Of her 143 paintings, 55 are self-portraits showing painful aspects of her life, mostly while she was bedridden. She is seen along her painting “The Love Embrace of the Universe, the Earth (Mexico), Me, Diego and Señor Xolotl”, a self-portrait celebrating the Riveras’ marriage. as both are in blue hues and the face of President Benito Juarez appears on the front. 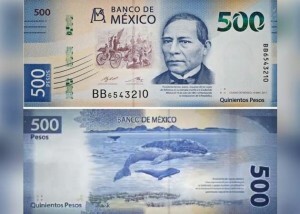 The center of the bill illustrates what the fine print reads: “President Benito Juarez, promoter of the Laws of Reform, in his triumphal entrance to Mexico City on July 18, 1867, symbolizing the Restoration of the Republic.” On the back, the ecosystem represented by an image of the coasts, seas and islands along a grey whale and her calf in the Biosphere Reserve of El Vizcaino, in the State of Baja California Sur, acknowledged by UNESCO as World Heritage Site. the country, and for its international prestige. On the bottom right, an image of Ehecatl, the Aztec god of wind. We will possibly see this bill on the second half of 2020. 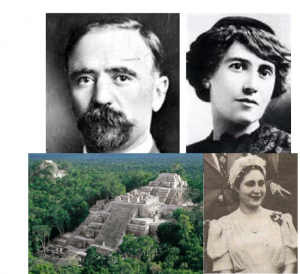 The bill will refer to the Mexican Revolution with Francisco I. 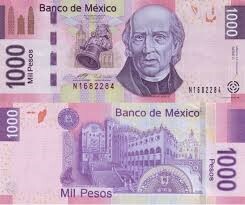 There is one last bill that only if Banxico deems it necessary, could be printed and only in small batches. . . This possible bank note is the 2,000-peso bill. 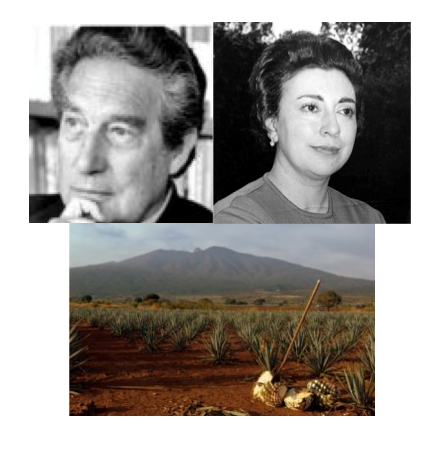 The main theme will be contemporary Mexico represented by writers Octavio Paz and Rosario Castellanos. Paz was a Mexican poet, writer, translator, essayist and diplomat, who won a Nobel Prize in Literature. He is considered among the 20th century’s greatest Spanish-speaking writers. Castellanos, the most important female poet of the 20th century. She devoted her life to the indigenous peoples and women in her country. Her poetry expressed her own life and how the female spirit must adapt to a world of men. She was ambassador of Mexico in Israel. On the back an agave landscape. The agave is the plant from which the mezcal and tequila are made. It could also include an image of the lesser long-nosed bat, responsible of pollinating different species of agave plants. Through the time machine we handle in our every day trade, we have visited a few of Mexico’s ancient cities, its architectural jewels; we have learned about heroes and contemporary culture, and reviewed some of its many amazing ecosystems. Mexico has so much more to offer. Exploring and learning we will always find that Mexico has much more to offer. La forma más antigua de intercambio comercial entre los pueblos mexicanos de antaño era a través del uso de cuentas, granos de cacao y granos oro como “divisas” de distintas formas y tamaños. Los mayas también utilizaban el cobre. Desde esas esos remotos tiempos hemos hecho un largo recorrido, mundialmente. La cultura mexicana es tan rica y vasta que, en la actualidad, es posible que quienes se dieron a la tarea de elegir lo que se representaría en los billetes pasaron ratos difíciles tomando la decisión. Y en tanto pagamos físicamente por los bienes adquiridos, sin advertirlo existe un intercambio de la riqueza cultural de México que con frecuencia pasamos por alto. 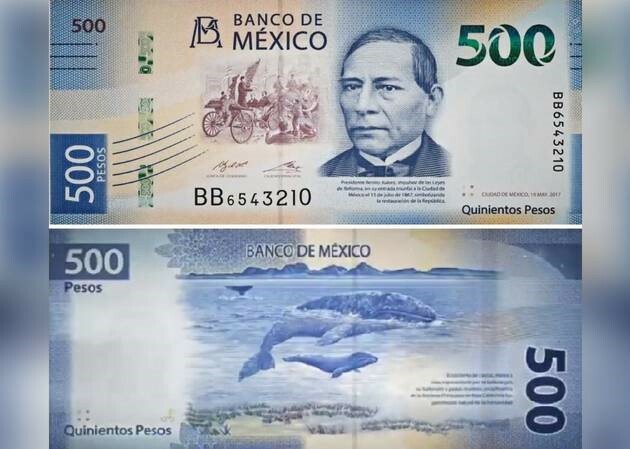 Aparte del billete de 500 pesos aún faltan por imprimirse otros billetes; sin embargo, Banco de México (o Banxico, el banco central y autoridad monetaria de México) ha compartido lo que incluirán los nuevos billetes. 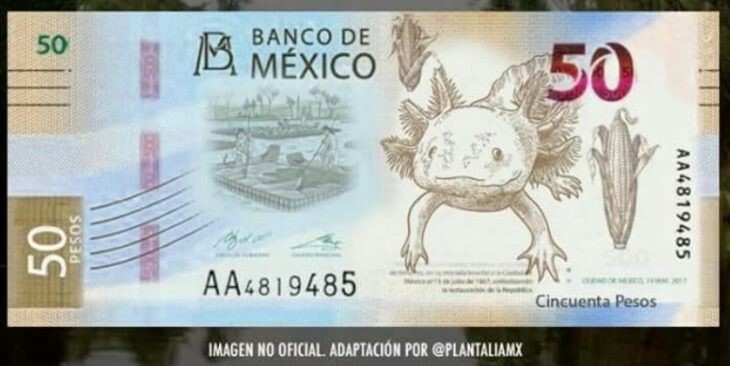 Este nuevo billete estará impreso en el año 2022. A la derecha, una versión no oficial de cómo podría lucir el billete de 50. Incluirá a Tenochtitlan, la capital del imperio azteca destruida en 1521 por los españoles. Hoy día, esta es la Ciudad de México. Cuenta la leyenda que a través de un sacerdote el dios Huitzilopochtli comunicó a una tribu errante que deberían buscar la señal de un águila (devorando una serpiente) posada sobre un nopal. Este sitio se convertiría en el “centro del mundo, su capital: México-Tenochtitlan. Esa señal es la figura simbólica que aparece en la bandera mexicana. El ajolote (“perro de agua” en náhuatl, o pez que camina) es un ancestral anfibio que toda su vida vive bajo el agua y tiene la habilidad de regenerar las partes que llega a perder de s cuerpo. Esta singular y peculiar salamandra está considerada como especie en peligro crítico de extinción. El maíz: los aztecas creían que el maíz era un regalo del Quetzalcóatl (Kukulkán para los mayas) mientras que el famoso libro Popol Vuh de los maya quiché respecto a la creación de los hombres nos decía que de la masa del maíz blanco y amarillo los dioses crearon la carne del hombre. El maíz ha sido el alimento básico de los mexicanos para preparar las tortillas (tlaxcalli en náhuatl y waaj en maya) así como otros alimentos. Xochimilco, “la tierra sembrada con flores”, Patrimonio Mundial de la UNESCO, también aparecerá representado. Famoso por sus chinampas, o “jardines flotantes”, islas artificiales de cultivo y muchas son viveros de las famosas flores de Nochebuena mexicanas. La reserva ecológica de Xochimilco se conoce mundialmente por los paseos en las típicas trajineras, embarcaciones similares a pontones adornadas con coloridas flores. Mientras pasea por los canales en la trajinera, podrá ser amenizado por mariachis y disfrutar la comida mexicana. En la actualidad hay dos billetes de 100 pesos en circulación. 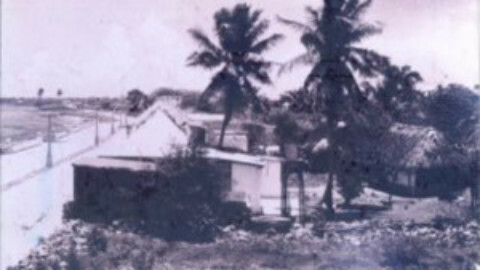 El primero al frente reviste la imagen de Netzahualcóyotl, gobernante de (tlatoani) Texcoco; también fue militar y poeta. En el texto microimpreso se una estrofa de su poema más famoso: “Amo el canto del cenzontle, pájaro de cuatrocientas voces; amo el color del jade y el enervante perfume de las flores, pero amo más a mi hermano: el hombre”. Al reverso, una imagen del Templo Mayor, la plaza central de México-Tenochtitlan, capital de los aztecas y una imagen azteca de un coyote pues el nombre de Netzahualcóyotl en nahua significa “coyote que ayuna”. 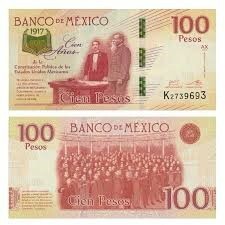 El segundo billete de 100 pesos, considerado artículo de colección, fue impreso en el 2017 para conmemorar los 100 años de la Constitución de los Estados Unidos Mexicanos. Al frente: Venustiano Carranza Primer Jefe del Ejército Constitucionalista y Luis Manuel Rojas, presidente del Congreso Constituyente, de pie durante el cierre formal de la sesión. Al reverso, los diputados del Congreso protestando cumplir la Constitución mexicana. 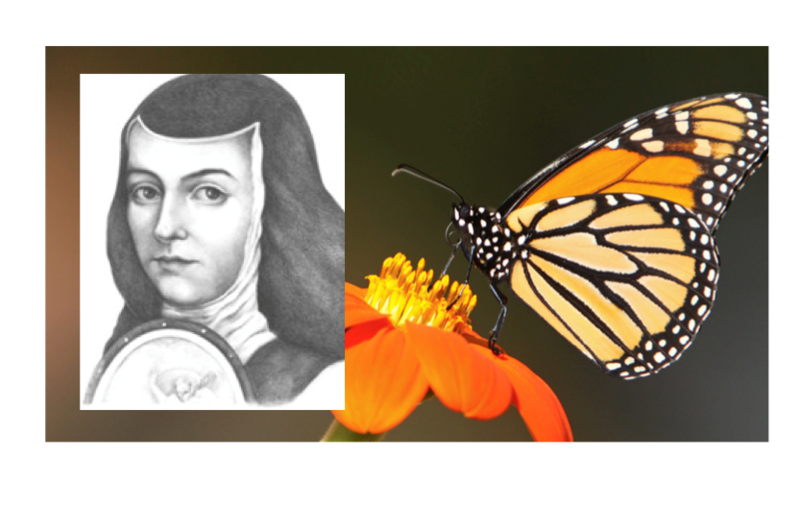 actual: Sor Juana Inés de la Cruz, también conocida como Juana de Asbaje, una monja del siglo 17 considerada la poetiza y escritora más importante en la literatura mexicana y latinoamericana. El reverso mostrará pinos, encinos y a la bella mariposa monarca que migra desde Canadá y los EUA cada año en Octubre hacia su santuario en el Estado de Michoacán, para reproducirse y luego volar de regreso en el verano. Su ciclo de vida es de cuatro a cinco semanas. Se tiene información que diariamente vuelan 120 kilómetros (74 millas) y está considerada una de las migraciones más grandes y largas en el mundo. Mientras se encuentran en su santuario, nos regalan uno de los espectáculos más espectaculares que la naturaleza puede ofrecer. Nacida cerca del año 1651, Sor Juana Inés de la Cruz fue monja y una mujer intelectualmente talentosa, escritora prolífica y poeta, inmersa en la teología, las ciencias, historia, música y literatura, y es considerada la primera feminista de México. Cuenta la leyenda que cuando era jovencita leyó los 3000 libros en la biblioteca de su abuelo. En el texto microimpreso, una estrofa de una de sus obras más famosas (“Sátira Filosófica”): “Hombres necios que acusáis a la mujer sin razón, sin ver que sois la ocasión de lo mismo que culpáis”. En el reverso, la Hacienda de Panoayan, Estado de México donde vivió Sor Juana, y al fondo, los famosos volcanes Popocatepetl and Iztaccihuatl. José maría Morelos. Ambos curas insurgentes, junto a otros, conspiraron para derrocar a los gobernantes españoles. 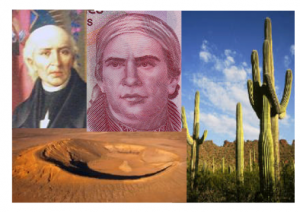 Al reverso: ilustraciones de el Águila Real, símbolo emblemático de la bandera mexicana y de los mexicanos; y el saguaro, un gran cactus endémico del Desierto de Sonora. También de Sonora, una ilustración de la Reserva de la Biósfera de El Pinacate, el volcán inactivo, y del Gran Desierto de Altar conforme a UNESCO. afectada por la polio y años más tarde fue fatídicamente lesionada por un tranvía. Antes de convertirse en pintora, estudió medicina. Rivera tuvo una gran influencia en su colorido arte folclórico y popular. De sus 143 obras, 55 son autorretratos que muestran dolorosos aspectos de su vida; principalmente cuando estuvo postrada en cama. Se le puede ver junto a su obra “El Abrazo de Amor del Universo. La Tierra (México) Yo, Diego y el Señor Xolótl”, un autorretrato celebrando el matrimonio de los Rivera. 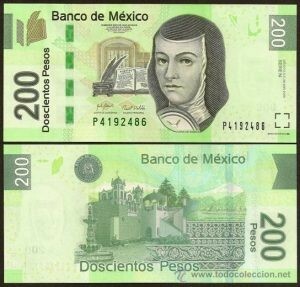 El NUEVO billete de quinientos pesos..
pesos pues ambos tienen tonos azules y el rostro presidente Benito Juárez aparece al frente. El centro del billete ilustra lo que se lee en el texto microimpreso: “Presidente Benito Juárez, promotor de las Leyes de Reforma, en su entrada triunfal a la Ciudad de México el 18 de julio de 1867l simbolizando la restauración de la República”. En el reverso, el ecosistema representado por una imagen de las costas, mares e islas junto a una ballena gris y su ballenato en la Reserva de la Biosfera de El Vizcaíno en el Estado de Baja California Sur, reconocida por UNESCO como Patrimonio de la Humanidad. cultura no solo de Guanajuato sino también del país y por su prestigio internacional. En la parte inferior derecha, una imagen de Éhecatl, el dios azteca del viento. Francisco I. Madero Carmen Serdán y Hermilia Galindo en el anverso. En 1910, Madero dirigió la rebelión contra el dictador Porfirio Díaz y después, durante su presidencia, estableció el sufragio y prohibió la reelección. Tanto Serdán como Galindo fueron férreas simpatizantes del antireeleccionismo de Madero e incitaron a la gente a unirse a la lucha. En tanto que Serdán era una mujer de armas, Galindo estableció las bases para las ideas feministas, educación sexual y atacó a la iglesia. En Mérida promovió la participación de la mujer en la política. 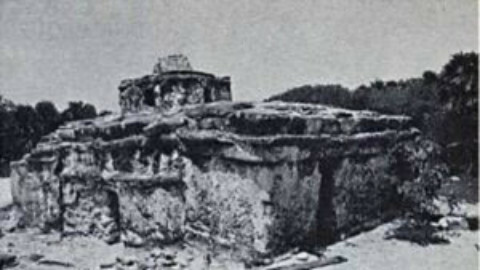 Al reverso, la bella, antigua y poderosa ciudad de Calakmul, en Campeche, la “Ciudad de Dos Pirámides Adyacentes”, Patrimonio Natural y Cultural de acuerdo a la UNESCO. Este era el reino de la serpiente o kaan. Su biósfera también estará representada por jaguares, el árbol sagrado de la ceiba y el zapote. Hay un ultimo billete que sólo si Banxico lo considera necesario, podría imprimirse y únicamente en pequeños lotes. . .
El posible billete es el de 2,000-pesos El tema principal será México contemporáneo representado por los escritores Octavio Paz y Rosario Castellanos. Paz fue un poeta, escritor, traductor, ensayista y diplomático mexicano, ganador de un Premio Nobel en literatura. Esta considerado dentro de los grandes escritores en español del siglo 20. Castellanos es la poetiza más importante del siglo 20. Dedicó su vida a los pueblos indígenas y a las mujeres de su país. Su poesía expresaba su propia vida y cómo es que el espíritu femenino debe adaptarse a un mundo de hombres Fue embajadora de México en Israel. 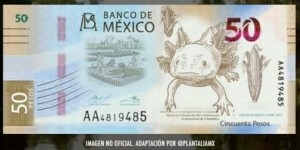 Al reverso del billete, un paisaje de plantío de agave. El agave es la planta con la cual se producen el mezcal y el tequila. Podría también incluir una imagen del murciélago magueyero, responsable de polinizar las distintas especies de agave. A través de la máquina del tiempo que manejamos en nuestras operaciones comerciales cotidianas, hemos visitado algunas de las ciudades antiguas de México, sus joyas arquitectónicas; hemos aprendido de los próceres y de la cultura contemporánea y hemos examinado algunos de sus sorprendentes ecosistemas. Explorando y aprendiendo siempre encontraremos que México tiene muchísimo más que ofrecer.